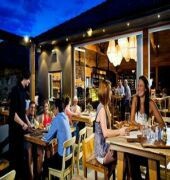 Situated on the main street of the picturesque town of Hahndorf, the Hahndorf Inn Motor Lodge is the ideal base for your visit to the historic town of Hahndorf and the surrounding Adelaide Hills, while still only 25 minutes down the South Eastern Freeway to the city of Adelaide. 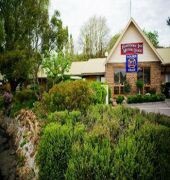 The lodge has 19 motel rooms and self contained accommodation in a beautiful and quiet creek setting, located just behind one of Hahndorf's most famous historic hotels and only a few metres walk to the heart of town. 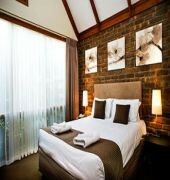 The Hahndorf Inn Motor Lodge has been fully refurbished in July 2009. 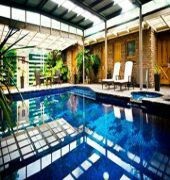 Refurbishment includes Brand New FLAT SCREEN TV's with Complimentary Foxtel, Modern Decor and Furniture and more.